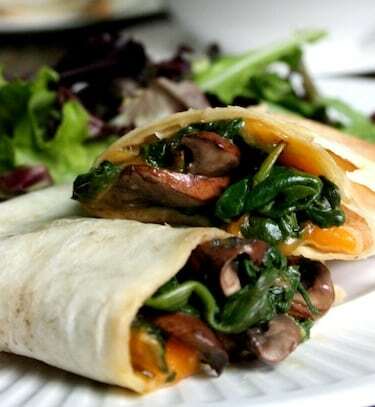 Spinach and mushrooms are nicely flavored with vegan cheddar-style cheese in these delectable wraps. 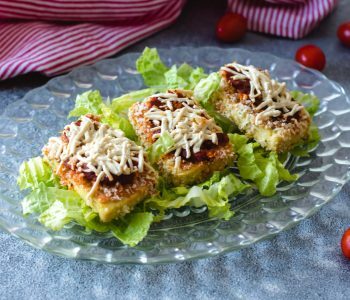 For an easy meal, serve with baked or microwaved potatoes or sweet potatoes and a colorful salad. Adapted from The Vegetarian 5-Ingredient Gourmet. Photos by Rachael Braun. Steam the mushrooms in a large skillet with enough water to keep the bottom moist. When tender, add the spinach, in batches if necessary, cover, and cook just until the spinach wilts down. Drain well. 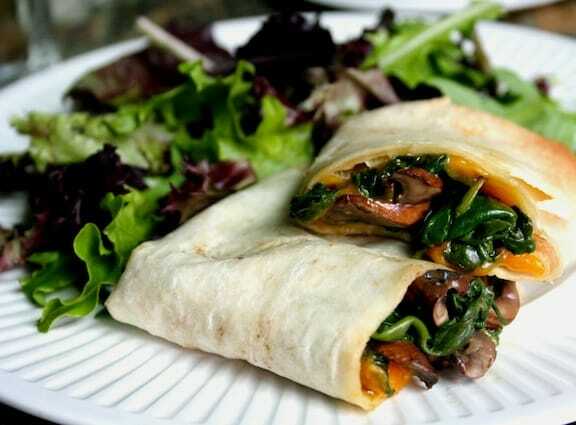 Divide the mushroom-spinach mixture among the wraps, arranging it down the center of each. Sprinkle evenly with the cheese. If desired, add a stripe of salsa, then wrap up snugly. Briefly heat each wrap individually on a plate in the microwave or in a preheated 400-degree oven, just until heated through, and eat out of hand. Here for lots more recipes for vegan sandwiches and wraps.